The 20th annual Light Up the Lakefront Luminaria took place Thursday night on Oak Street Beach. 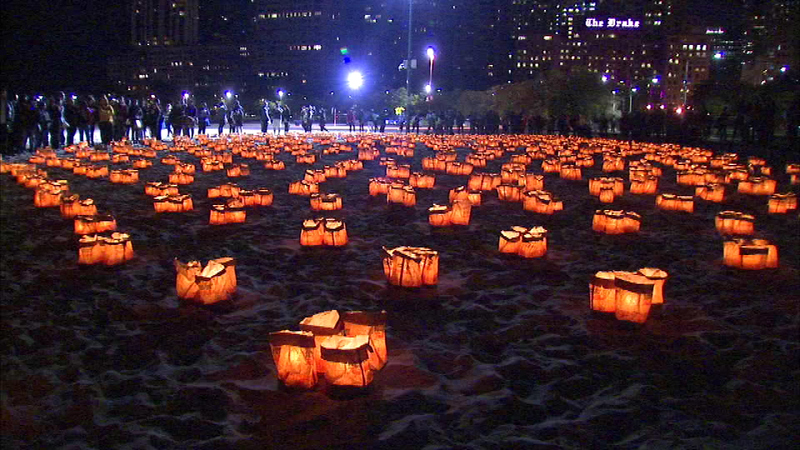 CHICAGO (WLS) -- The 20th annual Light Up the Lakefront Luminaria took place Thursday night on Oak Street Beach. This candlelight vigil launches National Domestic Violence Awareness Month. It's put on by a group called Between Friends. They say each candle pays tribute to a lost light: someone who lost their life to domestic violence.